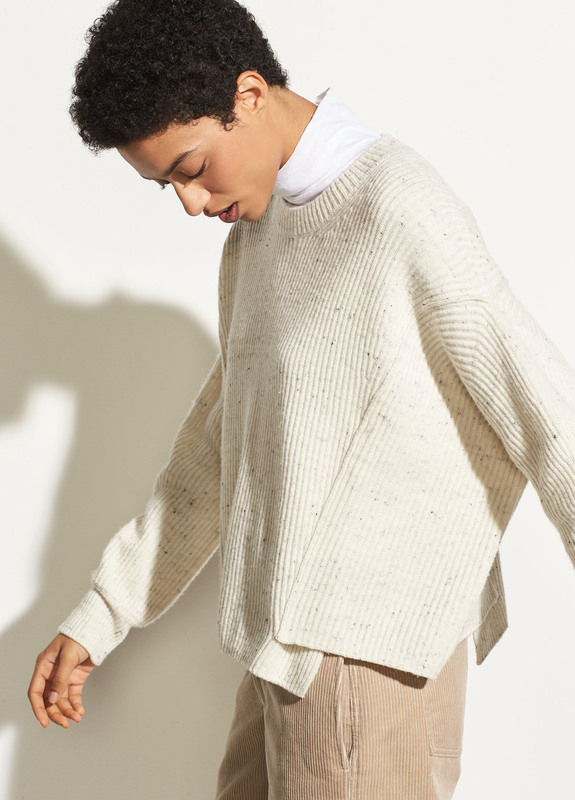 The overlap panel crew has a loose, slightly cropped shape that's ideal for layering. Contrasting ribbed trims, an asymmetric hem and exposed seams give it a deconstructed feel, while a subtly speckled appearance provides an extra hint of intrigue. 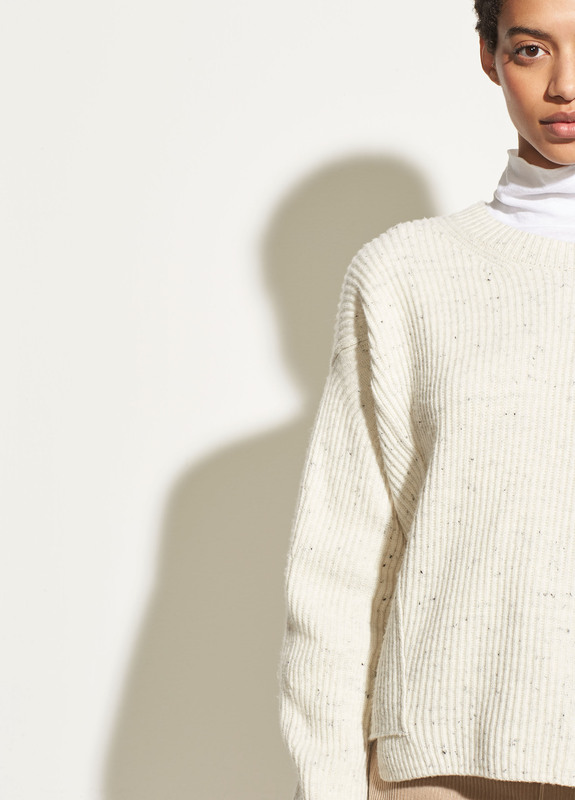 63% wool, 22% cotton, 16% cashmere.